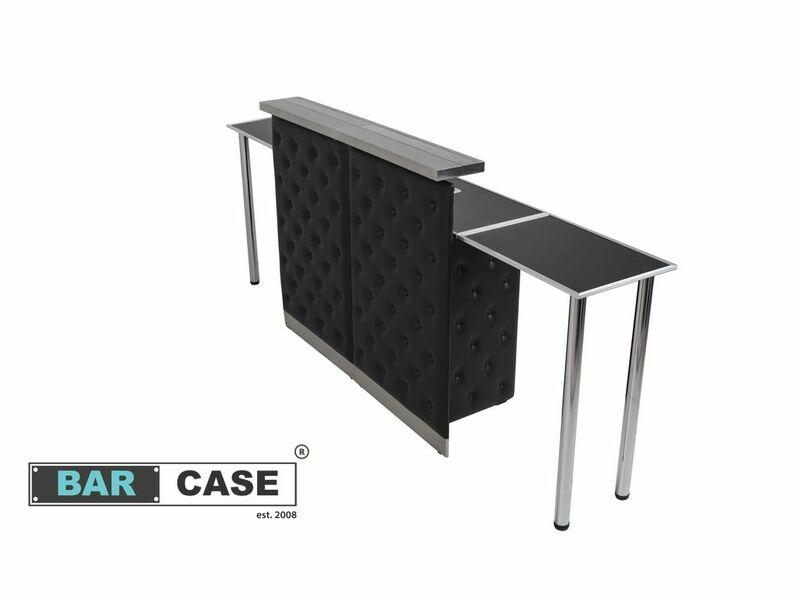 Catering Vip Bar 2in1 - has the same structure as Mobile Vip Bar except that it has two counters ! 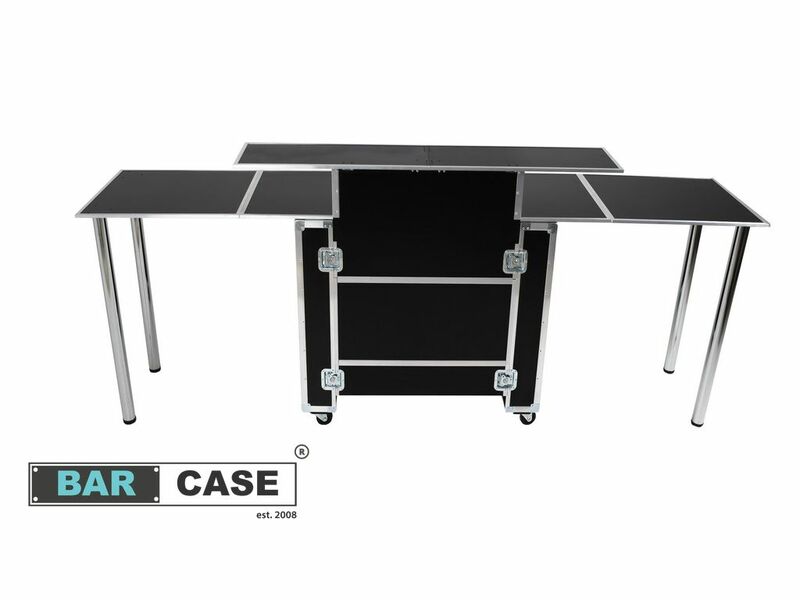 - the first 160 cm long, and the second 300 cm long – with two extra counters adjusted at both sides of the bar. This gives us two worktops: 160 cm or 300 cm long, when needed. 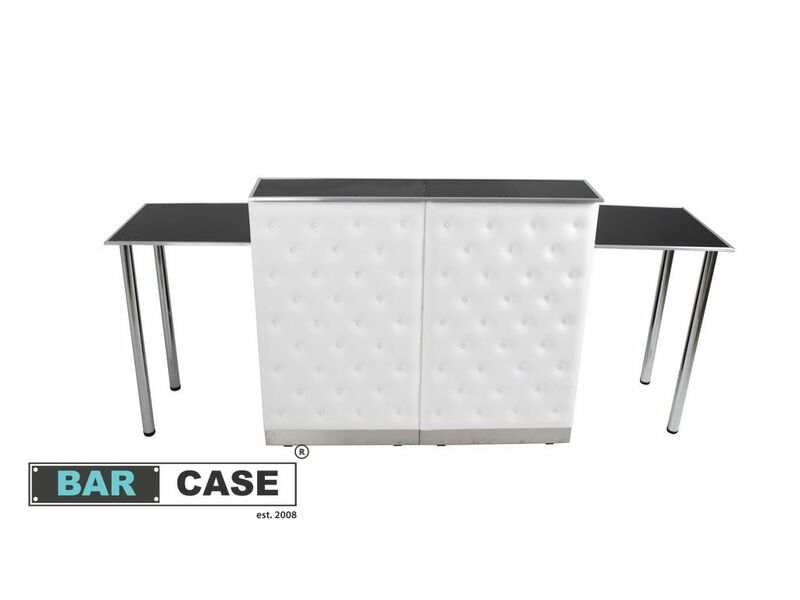 The 300 cm long counter comes with 4 additional legs that are assembled with it. The legs make the bar very stable and the counter is able to hold the weight of a coffee machine that weighs more than 10 kg. 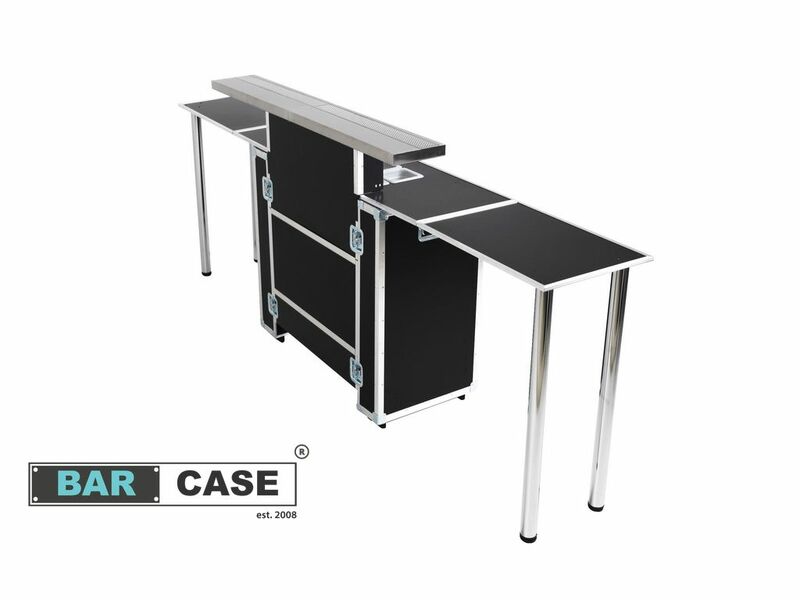 All the counters – both 150 cm and 300 cm long fit in in the case together with the bar. Full offer of Catering Vip Bar 2in1 variants below - choose your favourite bar !